Whether you wish to visit us, or are an attractive and friendly lady who might wish to work for us, we have compiled this useful guide to Malta so you can make the most from your trip. The guide has a few sections, you can jump to any section by clicking the links below. Malta has plenty of places for you to top up your tan and soak up the Mediterranean sun. The area around Sliema and St. Julian’s has many rocky beaches which are very convenient, and beautiful sandy beaches are very close by too. How to Get There: St. George’s Bay is just a few minutes walk from the club. The ‘other’ party town in Malta, Bugibba is situated in the north of the island, and has several rocky beaches, as well as a newly built artificial beach. Attracting an older crowd that Saint Julians, Bugibba is a little bit quieter, and is a good place to relax and unwind. How to Get There: The No 12 bus goes from Saint Julians to Bugibba every 10 minutes. 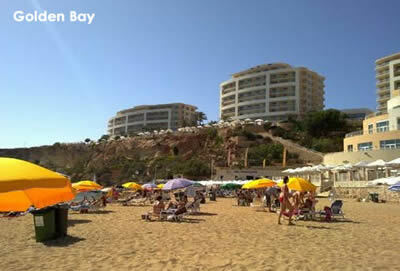 This is Malta’s most famous and most beautiful sandy beach, and is part of the Radisson Golden Sands hotel resort. The facilities are first class, with restaurants, bars, sunbeds and boats available. Weekends get very crowded, so the best time to visit is in the middle of the week. How to Get There: Golden Bay is in the North-west of the island. The Bus No. 225 will take you from Saint Julians, but the best way to get here is by hire car. As a small nation, Malta cannot quite match the shopping meccas of London, New York or Dubai. However, do not be deceived. The Maltese like to dress well and love to shop, and the island has more than it’s fair share of designer outlets. How to Get There: Simply walk a few minutes from the club and you cannot miss it. The newest and most modern shopping mall in Malta offers three floors of retail therapy, set in the chic surroundings of Tigne Point, a new housing and entertainment development. 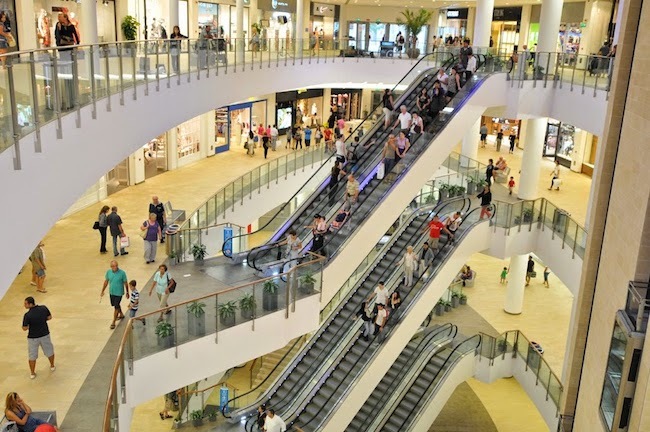 As well as the Debenhams department store, the mall offers the best in international fashion brands such as Tommy Hilfiger, New Look, Lacoste, Armani Jeans, Sisley, Terranova, Benetton, Esprit and Crocs. 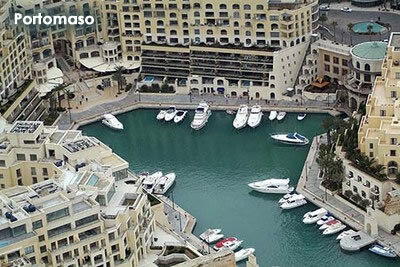 How to Get There: Tigne Point is a 40-minute walk from the club, along the St. Julians and Sliema waterfronts. The No 12 (direction Valletta) also goes there. 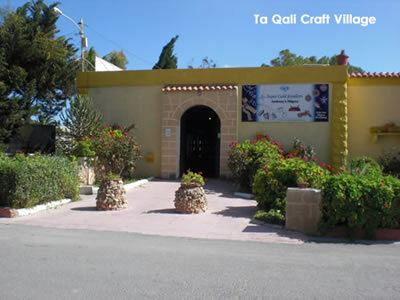 If you seek more than just fashion, and wish to purchase some traditional and memorable Maltese gifts, then the best place to do this is at the craft village at Ta Qali, in the centre of the island. How to Get There: The Open Top Bus (North Tour) stops here, so this is best experienced as part of a tour of the island. As a major tourist destination, the Malta restaurant scene has something for everyone. From high cuisine to sushi to the simple burger, you are sure to find what you want here. 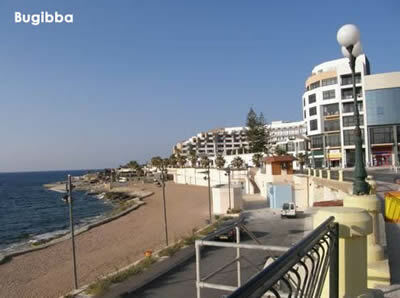 The area around the club is full of very good restaurants, particularly the areas of Portomaso and Spinola Bay. 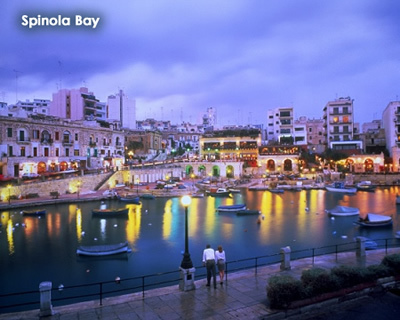 Located on beautiful Spinola Bay, Peppino’s has been the favourite of many celebrities such Jon Bon Jovi, Brad Pitt and Madonna. 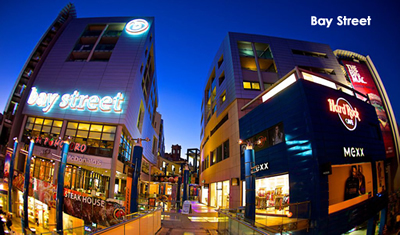 Part of the Hilton complex in Portomaso, the Blue Elephant serves delicious Thai food in luxurious surroundings. Also found on the yacht marina of Portomaso, this is the best place to savour fresh fish from the Mediterranean. This new restaurant and bakery in Valletta is the best way to enjoy a leisurely Maltese lunch and wine with good friends. For low-carb sushi-lovers, this is a reliable and healthy choice, in the heart of Saint Julian’s. This Maltese-owned chain has three restaurants on the island and is a must for lovers of gourmet burgers. For such a small island, Malta has a lot to see, from the oldest buildings in the world, to beautiful medieval cities, to incredible natural wonders. Here is a small selection, but this is just the beginning…you could spend a whole year here and not see everything! 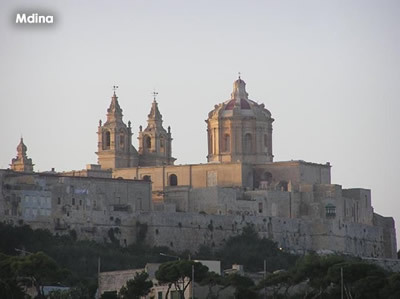 Set atop a hill which overlooks most of the island, Mdina is one of Europe’s finest examples of an ancient walled city. In the daytime you will fall in love with Mdina’s mix of medieval and baroque architecture. In the summer months, the narrow stone streets are a lovely escape from the heat. At night time, the Silent City is a lamp-lit place of romance and mystery. How to Get There: The 202 and 203 bus services from Saint Julian’s go direct to Rabat/Mdina, or you can visit the city as part of the Open Top Bus Tour. Malta’s second island, Gozo is greener, quieter and perhaps even more beautiful than the main island. It’s charming towns and villages are a relaxing contrast to the busy atmosphere of Malta’s cities, and is a great place to relax and unwind. Gozo is also home to the Ggantija Temples, the oldest man-made structures in the world – many thousands of years older than the pyramids of Egypt. How to Get There: There is a ferry to Gozo from Cirkewwa in the North of Malta, with a short trip to Gozo leaving every 45 minutes. 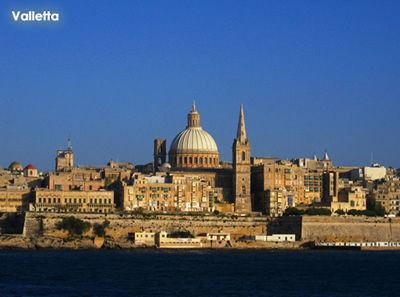 The capital of Malta, Valletta is a beautiful fortress city situated between the two natural harbours of the island. Although a tiny place of just 7,000 souls, Valletta has more history concentrated between it’s walls than almost any other city in Europe. Narrow side streets are full of tiny quaint shops and cafes, while Valletta’s main streets are lined with larger international branded shops for lovers of fashion, music and jewellery. How to Get There: Almost every bus in Malta goes to Valletta bus station, so you cannot miss it! The third island in the Maltese archipelago, Comino lies in the channel between the main island and Gozo. 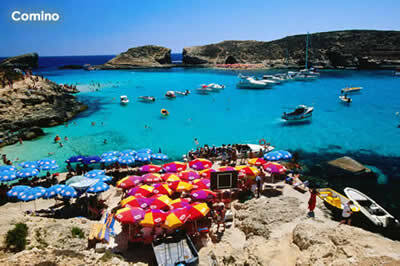 Comino is most famous for it’s beautiful Blue Lagoon, offering safe bathing in bright turquoise waters. The island is tiny in size, with just one hotel, but it is otherwise uninhabited and is surrounded by the most beautiful waters in the Mediterranean. If you want to try snorkelling, scuba diving or just want a relaxing swim in the sea, this is the place to come. How to Get There: There are ferries to Comino from a number of locations in Malta, the most convenient being from Sliema Ferries.